The Sad Life of the Real "Elephant Man"
Nothing unusual was recorded about the birth of Joseph Carey Merrick on August 5, 1862 — to the world better known as the Elephant Man. Only a few months before turning two, the first symptoms were there: some strange swelling appeared on the baby’s lips, and his skin started to change. Over time, the conditions only worsened. Joseph grew up a boy who slowly came to embody a human monster. His skin thickened and he developed unusual growths on various parts of his body. His hands: the left one remained normal, but the right one was impaired by deformities to the degree it eventually was no use for anything. The head? It grew prominent and people wondered how it could still stand there on the shoulders. Merrick’s look, sadly enough, was something which made people think he was a menace to the community. 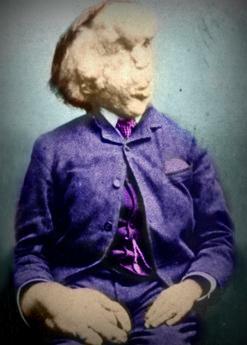 Only a few people tried to see the real person, the human Joseph Merrick who was trapped in this body so affected by abnormalities. 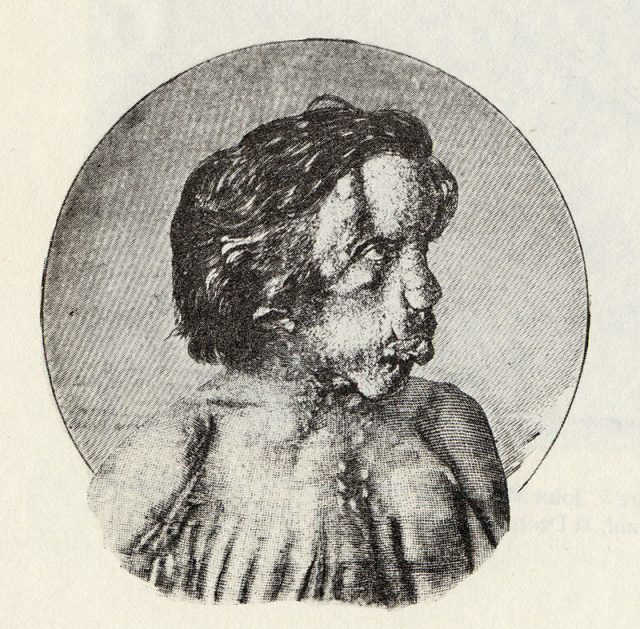 This image of Joseph Merrick (1862–1890) was published in the British Medical Journal in 1886. “Tis true, my form is something odd, But blaming me is blaming God,” the young man recurrently quoted this line by Isaac Watts. He was born in Leicester to Mary Jane and Joseph Rockley Merrick. His mother had no clear explanation why such severe deformities reigned over her sons body. She eventually set a belief that all of this was the result of an accident that had happened during her pregnancy. His mother would provide Joseph with happy childhood memories, as much as possible. Again sadly, Mary Jane died when the boy was only 11. At the same time, his deformities had become so prominent that he was no longer able to attend school as other children. More importantly, Joseph needed care, but was now left with a father who failed any such expectations. Just 18 months after Mary Jane’s death, Joseph Rockley Merrick found another wife who had children of her own, all of whom much more handsome than Joseph was. And this is where the real hell began. Joseph didn’t fit into the new family unit. His stepmother did not provide the care that Mary had provided unconditionally. Her hostile voice would continuously ring out that Joseph did not deserve even the half dish of food he was provided with, as he didn’t make any contribution to the household. Attempts to escape the house? There were a few, unsuccessful ones. His father always fetched him back, fulfilling a rare parental duty. So the boy, though only in his early teenage years, sought for different jobs and struggled to find anything decent. For some two years, isolated in a dimly-lit corner of a small shop, he worked rolling cigars. He struggled with this task due to the one impaired arm that protruded from his body as if it were a distorted tree branch. 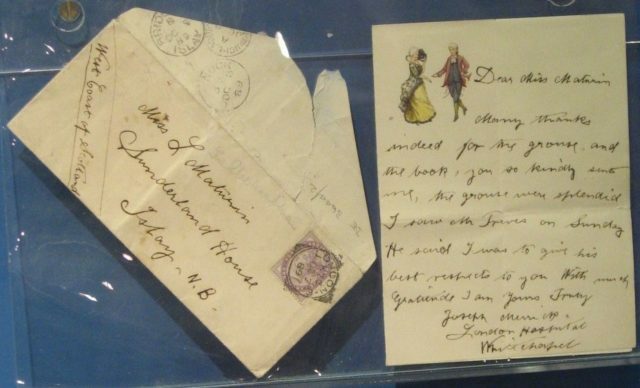 The only surviving letter written by Merrick. Next, Joseph’s father arranged a job as a door-to-door salesman. He scarcely sold anything — people were too scared of his appearance. 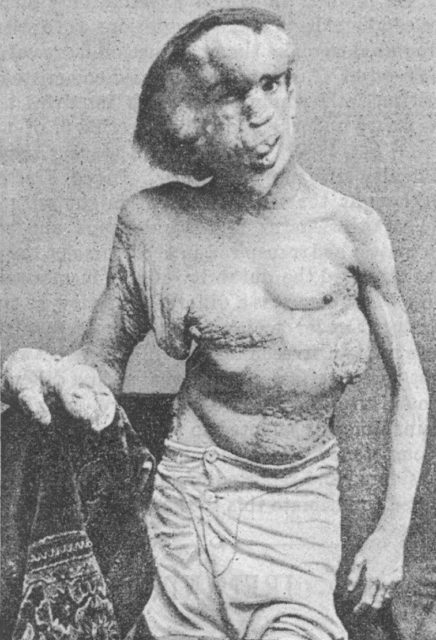 As he couldn’t make money this way either, Joseph Merrick, still a teenager, was left homeless. For a while, he was provided a roof by his uncle. 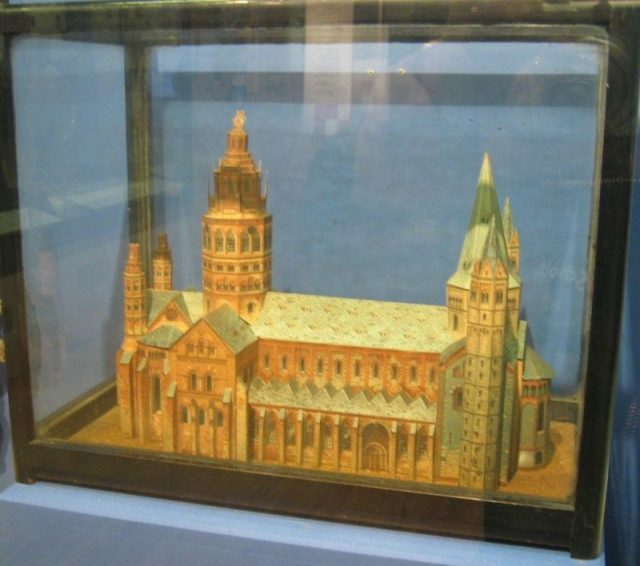 Card church built by Merrick, a replica of Mainz Cathedral. Accordingly, he was provided a spot on one such show where he was exhibited as the Elephant Man, the half-man and half-elephant as the promotion went. This meant that from now on, Joseph was in a way owned by the people in the business. The show was popular. 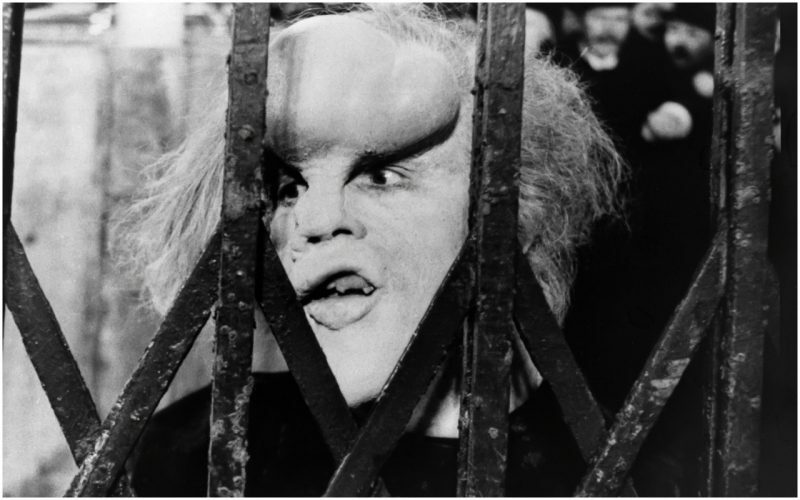 People paid money to see the Elephant Man and the exhibition eventually reached London. There, Merrick was accommodated near the London Hospital, which is how he met with the surgeon Frederick Treves. 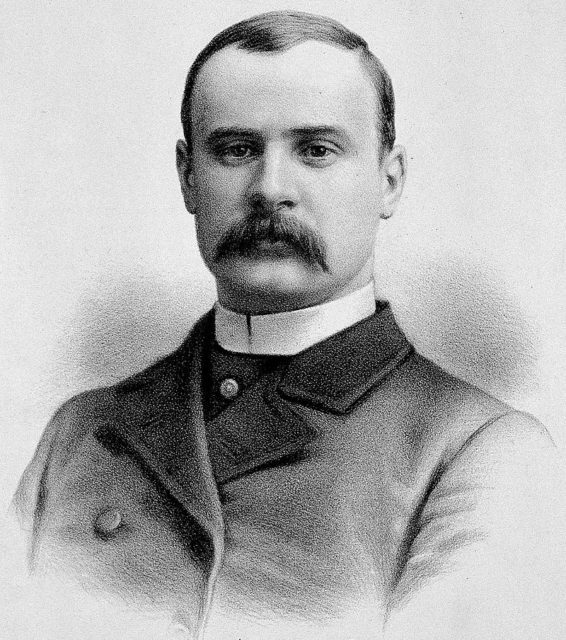 Merrick’s close friend and doctor, Frederick Treves, in 1884. As a knowledgeable doctor, Treves inspected Merrick’s deformities, and he found them to be extreme. In fact, the youngster was not even able to sleep properly. He slept sitting, with his legs gathered up and used as a platform to support his head. Tumors were all over the body. Solely his right hand was 12 inches in circumference and five inches around one of the fingers. His leg and hip had also worsened to the point he needed to use a cane for walking. 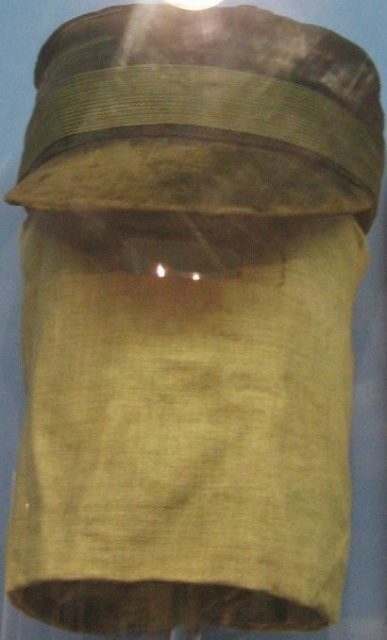 Other than that, Joseph Merrick was in good health — a survivor. After the show shut down in London, Mr. Treves remained an open contact for Joseph. His exhibition was moving to Belgium, where he was assigned to a new manager. But soon after arriving, he was abandoned, robbed, and left alone in a country where he didn’t even know the language. Merrick somehow managed to go back to England and to the one person he could trust: Mr. Treves. By this point, his health had deteriorated even worse. A fund was set for people to donate to the special medical care that Merrick needed. The public plea was made by Treves, in whom Merrick found a rare new friend. People responded quickly on the call, and the issue was settled. Joseph Merrick spent four years in the hospital, and for the first time, he started enjoying life as it is. Yet, as ruthless as life itself can be, Merrick was found dead in his hospital bed on the morning of April 11, 1890. The young man had tried to sleep horizontally on the bed, however his head had fallen at a wrong angle, causing his neck to dislocate. The official cause of death was recorded as asphyxia. Two medical conditions have been considered for Merrick’s case. 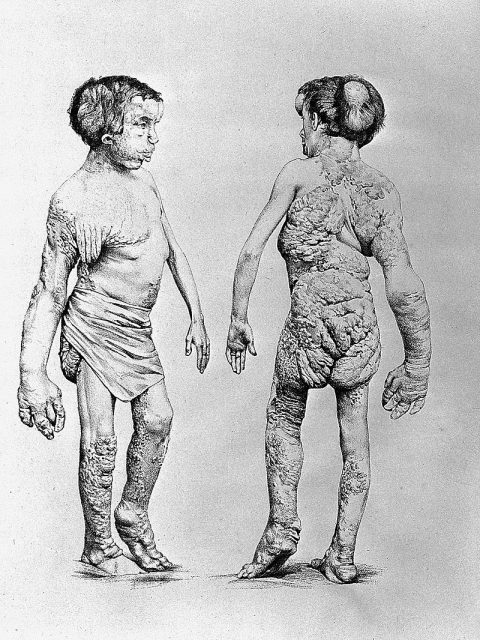 The first: Proteus syndrome, a rare disease that causes overgrowth of the bones, as well as the tissue such as the skin. Second, neurofibromatosis, which is a genetic disorder that causes tumors on nerve tissues, which spread to the spine and the brain. While his 27 years of life were marked by cruelty, exclusion, and inhuman treatment, Merrick’s story lingered for decades to come, a reminder that the world is desperate for more compassion. 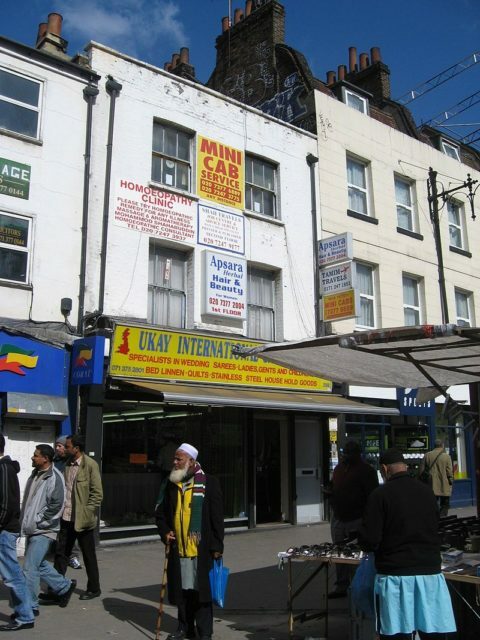 The shop on Whitechapel Road where Merrick was exhibited. Today it sells saris. 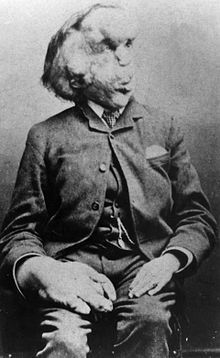 With or without the help of fiction, we are left to remember Joseph Merrick, not as the Elephant Man, but as someone who, above all, was a kind and forgiving human being despite how wrongly people treated him.